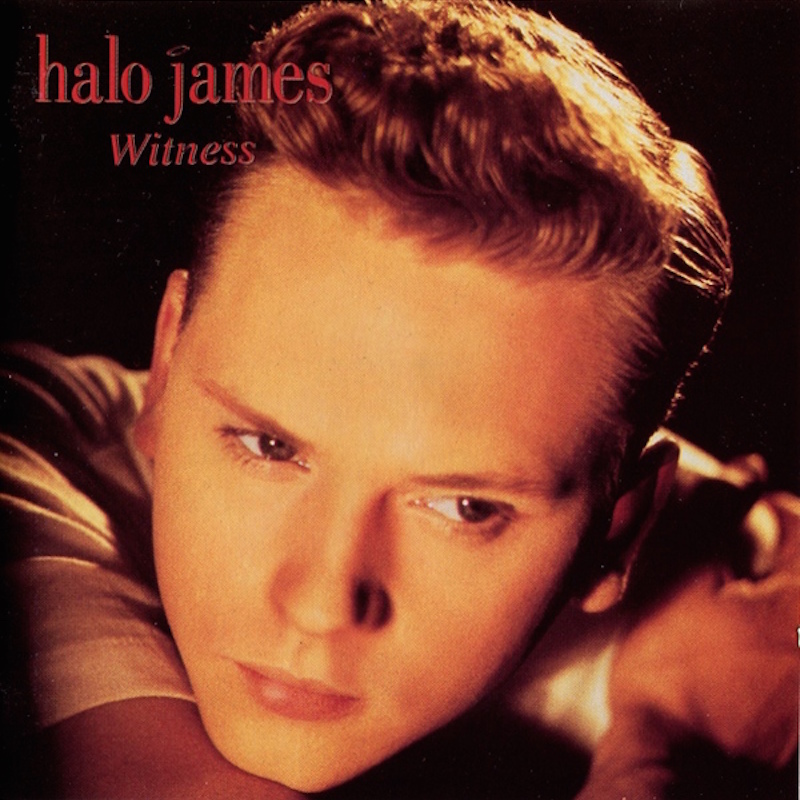 Today’s POP RESCUE from a fate unknown, is the 1990 debut album Witness by trio Halo James. I remember Halo James and what felt like their brief career (they had 6 singles, 5 are here). This 11 track album of original songs was a surprise find – as I’d forgotten that they’d released one. The album opens with their big #6 UK hit, and the only track I know (and love) – Could Have Told You So. Christian James effortlessly makes his way through this song, which has a great pace, almost nostalgic styled, with some great vocal harmonies, bass, and percussion. This is followed by Baby, which reminds me of something that you’d find on one of the Wet Wet Wet albums. There’s plenty of saxophone here, and Christian’s vocals are strong and crisp here, even if the whole track is quite a nice mellow song. This became the third single, reaching #43 in the UK singles chart. Pace picks up for next song Magic Hour, which thankfully was released as the fourth single. It’s a catchy track with lots of bass and brass. At times, Christian’s vocals sound like early George Michael here, although there’s sometimes vocals a little too low in the verses. Still the chorus is catchy enough to compensate. Sadly it stalled at #59. Next up is Is This The Way Love’s Meant To Be? which starts with some synth strings and piano, turning to some beats and guitar before Christian’s vocals begin. The song allows him to showcase his vocal range and harmonies. Pure Velvet is up next, sounding like a cover of an old 50s song, although like the rest of the songs on the album – they’re written by the group. This is quite a slinky slow song. Listen carefully and you may hear Juliet Roberts who appears on a number of the tracks on the album. Side One closes with the title track Witness. This song is more upbeat, and presumably would be in single territory – it’s catchy enough. It seems to echo some milder form of disco, mixed with something you’ve forgotten by D:Ream. The song manages to build up and evolving into something a bit heavier with guitar and brass. Side Two opens with Well Of Souls, with Christian singing ‘can’t you hear them calling?’. Suddenly the beats and keyboards burst in, turning it into a full-on pop song that doesn’t really suit its title. Occasionally here his vocals take on a Matt Goss from Bros growl. There’s a pretty damn funky bass and piano instrumental section in the middle. Only End In Tears follows, which is a nice mid-tempo number. This again, feels like it’s fallen off a George Michael album, complete with some soaring vocals. Up next is Wanted, and this is in ballad territory. We’re back in Wet Wet Wet territory too, with maybe a little dash of Brother Beyond too. It’s a nice enough song, but not massively catchy. This was their group’s debut single, and lead single from the album, and to be honest, it’s no surprise that it stalled at #45 on first release in 1989. The song was also the fifth single, when re-released in 1990. However, it fared worse – scraping in at #89. Penultimate track Tender Gun follows this, opening with some nice backing vocals and harmonica. This is quite a nice, warm, mellow track that gives Christian and Juliet Roberts plenty of space to roam. This should have perhaps been a single. The album closes with Mocking Boy, which grows from a fading in synth, switching to some upbeat drums and strings, complete with some dramatic brass stabs. Again the vocals here are great – both Christian and Juliet get plenty of space to show off their range and power. This is a great way to close an album. Over all, I’m kind of pleased and surprised that this album plays out quite well. There’s plenty of moments throughout when I hear Wet Wet Wet, Brother Beyond, D:Ream, Bros and George Michael – all of whom would have been chart rivals for Halo James. They certainly were releasing music of the right sound, at the right time. Sadly, success was only too brief. Where are Halo James now? Halo James released their final single, their sixth, in August 1990, called I Think I Love You Too Much, but sadly it failed to repeat their earlier moderate success, by reaching #98 in the UK singles chart. There are a small number of demo tracks from the early-mid 1990s on YouTube, including Bitter Taste Of Love and Got Lovin’ On My Mind, all of which hint towards a follow-up album that never emerged. One of these songs was Mission Of Love, which became a hit for Jason Donovan in 1992. Ray St John was already known for writing Sade’s hit Smooth Operator, but he has continued to write – having provided songs for the likes of Gabrielle, and Snoop Dogg. Neil Palmer has since gone on to work with Melanie, and Haddaway. He ran a music store in London until its closure in 2011. Cherry Pop Records are set to release a Witness (Special Edition) in June 2015. Posted in 1990s, Halo JamesTagged 1990, album, Baby, Christian James, Could Have Told You So, Juliet Roberts, Magic Hour, Neil Palmer, Ray St John, review, Wanted, WitnessBookmark the permalink.